Jakarta Provincial Government is going to complete various supporting facilities at Pulogebang Terminal, East Jakarta. 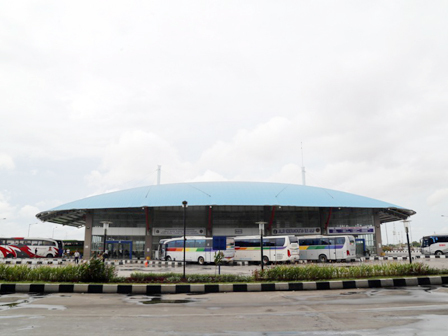 As planned, President, Joko "Jokowi" Widodo will inaugurate terminal on December 20, 2016.
" All facilities must be completed, because it will be a pilot for terminal all over Indonesia"
City Secretary, Saefullah stated the existing facility must be completed soon, ranging from traffic sign, either inside or outside of terminal, as well as application system that will be used for vehicle operational and kiosk utilization. "All facilities must be completed, because it will be a pilot for terminal all over Indonesia," he stated, during a executive meeting, at City Hall, Monday (12/5). Especially for information technology (IT) matter, he wants the goods provider to be responsible in its function. Because the fund that allocated is high enough, precisely amounting to Rp 13 billion. "The goods provider must be responsible, because the system has not been lived. So it should really work. Check it again," he stated. Meanwhile, Jakarta Transportation Dept Head, Andri Yansyah disclosed there are some facilities that should be completed, such as traffic sign, IT, eligible test for lift and escalator, as well as use of kiosks. "Especially for traffic sign is still lacking, thus many drivers get lost when going to enter into or exit from terminal. It is a priority," he uttered.